Sacramento has produced a number of well-known actors, actresses, models and several other personalities from other spheres. Our list of famous people from Sacramento includes Sam Elliott, Brie Larson, Jessica Chastain, Colin Hanks, Sasha Grey, and many others. Sacramento is the capital of the state of California. The Sacramento Metropolitan area is as vibrant as the Greater Los Angeles and San Francisco Bay Area and the city is usually abuzz with a lot of people, especially during the weekends. Writer Joan lunden, actress Adrienne Jo Barbeau, actor Sam Elliott, swimmer as well as Olympic champion Summer Sanders are a few celebrities from Sacramento. Athlete Summer Sanders made her nation proud at the 1992 Olympics by bagging around four medals, which included two gold medals, a silver medal and a bronze. Sanders received immense praised for this incredible feat and she eventually went on to become a sports commentator and television show host. 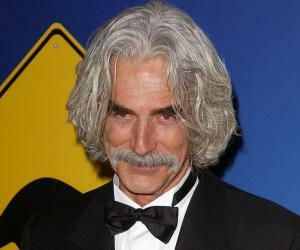 Sam Elliott is one of the most seasoned actors of all time and has impressed movie buffs with his roles in films like ‘The Big Lebowski’, ‘Tombstone’ and ‘Ghost Rider’.